If signed into law, the legislation will allow registered participants into a pilot project to grow hemp. That’s the name typically used for varieties of the cannabis plant that produce useful fiber, but almost no THC, the psychoactive compound in marijuana that alters people’s mental state. Palmer Republican Sen. Shelley Hughes introduced the bill more than a year ago after reworking legislation originally written by former Sen. Johnny Ellis. Ember Haynes is one of those interested in growing hemp to supplement livestock feed. But Haynes and her husband also want to grow it for use in products they sell through their Talkeetna-based Silverbear Sundries. 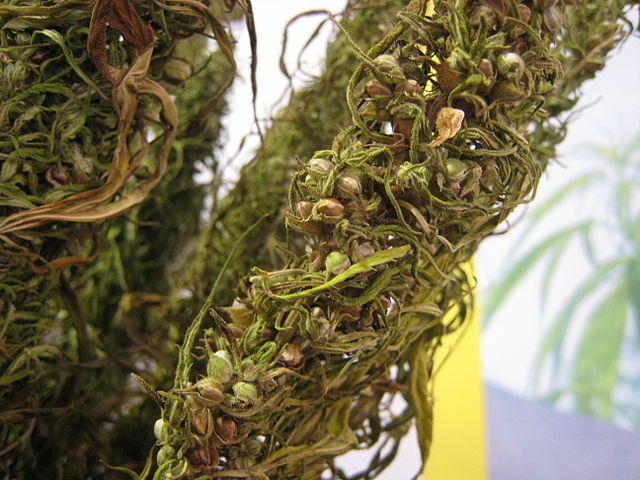 So far, they have had to import hemp from the Lower 48 to add to their balms, salves and other natural body products. Even if the bill is signed into law soon, Hughes said it’s unclear if regulations will be written in time for this year’s growing season. She said it is more likely that farmers could be growing industrial hemp in Alaska in 2019.